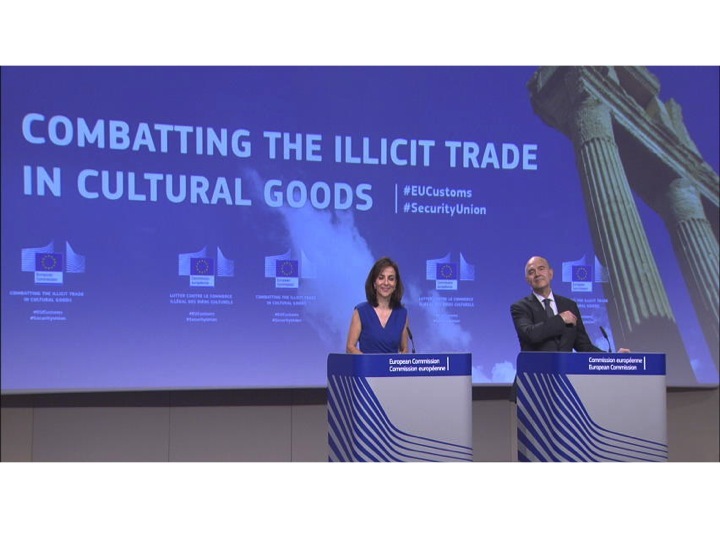 Following the Commission presentation of the proposal for a EU Regulation on the import of cultural goods, discussions on this proposal are ongoing at the European Parliament (EP). The Conference of Presidents of the EP decided on 11 January 2018 that the Committee on International Trade (INTA) and the Committee on Internal Market and Consumer Protection (IMCO) will work together under the joint procedure (Rule 55), with the Committee on Culture and Education (CULT) associated under Rule 54. Alessia Maria Mosca (S&D, Italy) and Daniel Dalton (ECR, United Kingdom) were appointed as co-rapporteurs. Santiago Fisas Ayxelà (EPP, Spain) was appointed as a rapporteur for the CULT Committee. The Committee on Civil Liberties, Justice and Home Affairs (LIBE) will also prepare an opinion. The vote on the draft report by the responsible committees is scheduled for 11 July 2018. Esta entrada fue publicada en Culture around the world el 22 marzo, 2018 por ANGELES GUTIERREZ ZARZA. 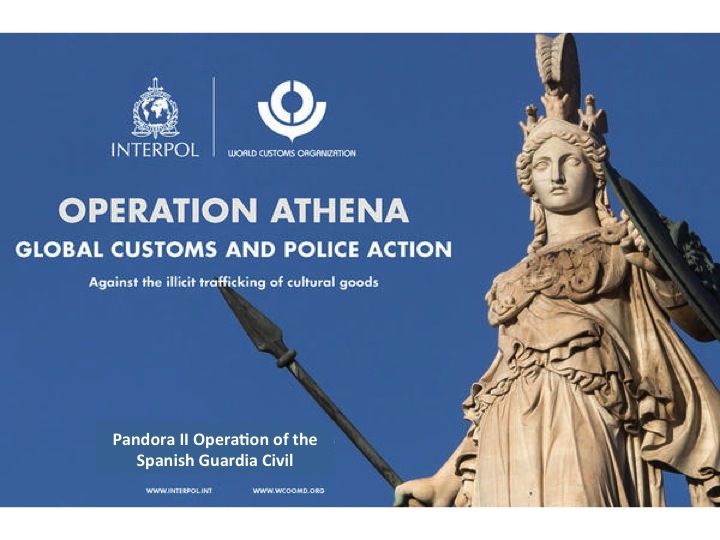 Interpol has recently informed on a Global operation against illicit trafficking of cultural goods (named “Athena”) coordinated in close cooperation with the World Customs Organization (WCO) and with a Europe-focused dimension (called “Pandora II”) coordinated by Europol and the Spanish Guardia Civil. The operations, which ran from October to December 2017, included thens of thousands of checks out at airports and border crossing points across 81 countries. Auction houses, museums and private houses around the world were searched, in an operation voering on-line illicit markets too. 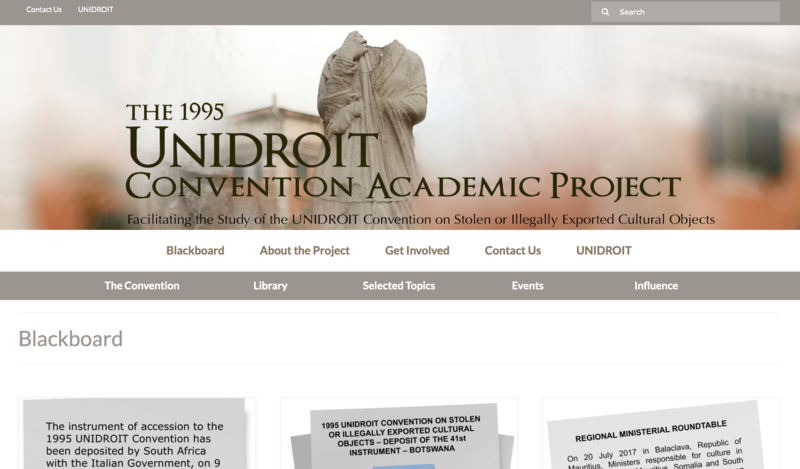 The Interpol database of Stolen Works and the Europol´s Siena Exchange Tool were crucial tools for both customs and police authorities involved. 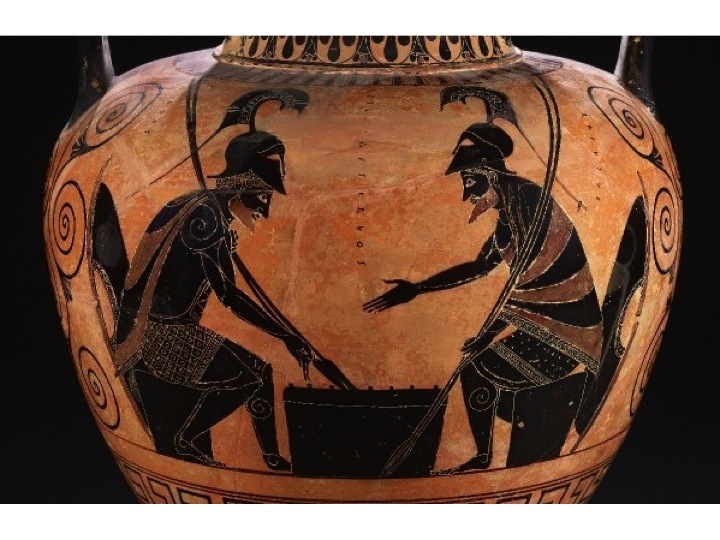 As result, more than 41.000 cultural objects have been seized, including Roman coins, Greek vases, pieces of ivory, ancient weapons, marble heads and other archaeological pieces, paintings and ancient musical instruments. Esta entrada fue publicada en Culture around the world el 21 marzo, 2018 por ANGELES GUTIERREZ ZARZA. Full text of this scientific publication is available here. Esta entrada fue publicada en Culture around the world el 5 marzo, 2018 por ANGELES GUTIERREZ ZARZA. 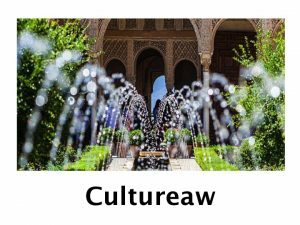 Esta entrada fue publicada en Culture around the world el 2 febrero, 2018 por ANGELES GUTIERREZ ZARZA. 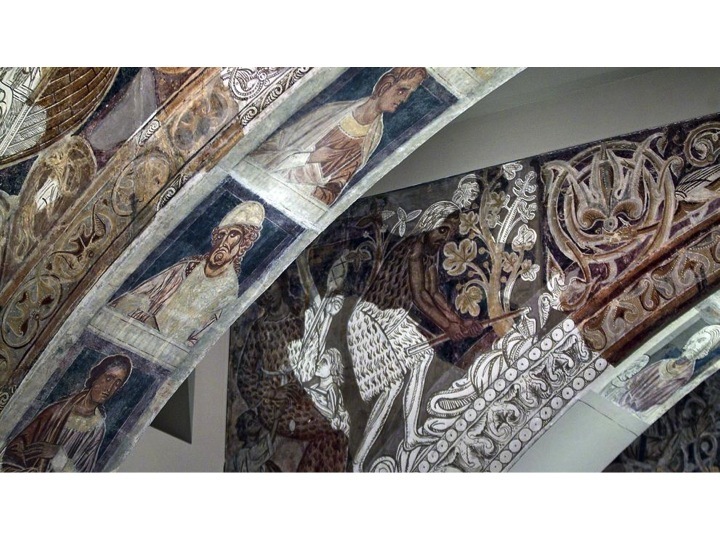 The Spanish Judge of the Court of First Instance n. 2 of Huesca has provisionally suspended the execution of her previous Judicial decision of July 2016 stating that Mural paintings from the Chapter House of Sigena located at the Museu Nacional d´Art de Catalunya (MNAC) must return to the Sigena Monastery. 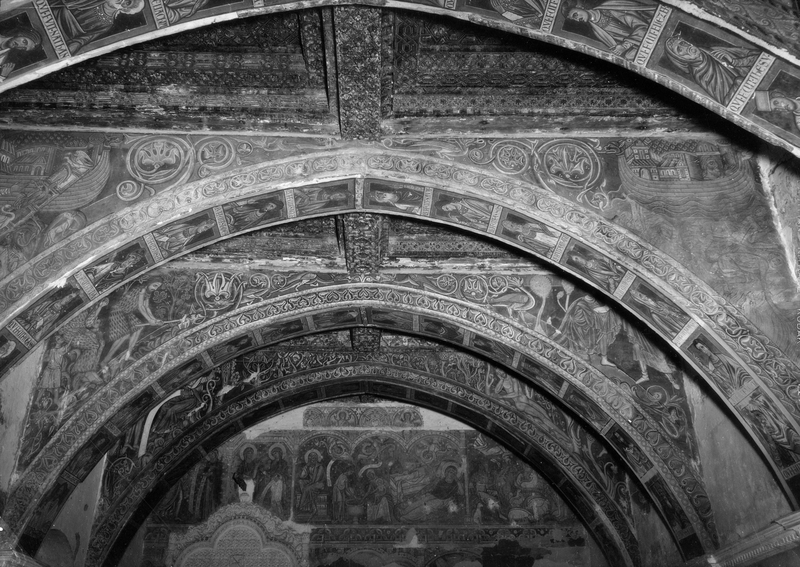 Taking into consideration several scientific reports presented by the MNAC, the Judge has concluded that the frescoes are extremely vulnerable and that any damage potentially caused during the moving may be irreparable, as well as the absence of the best conditions to preserve them at the Monastery. 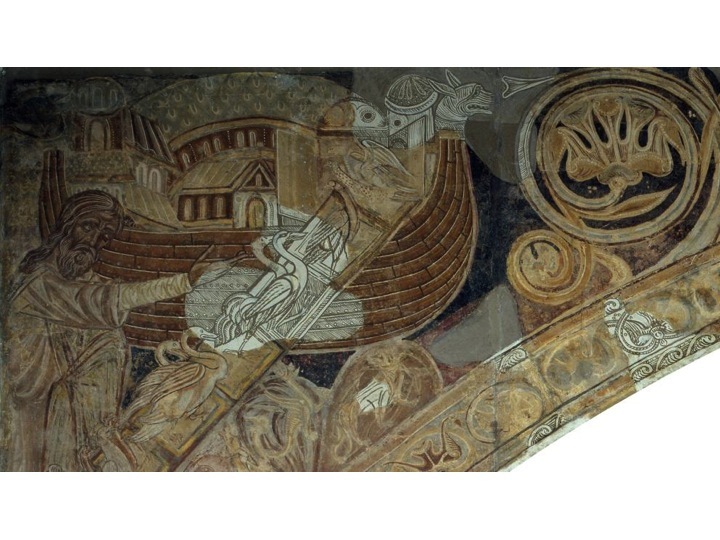 The mural paintings of the Chapter House of Sigena are considered one of the most important examples of Medieval Hispanic Art. 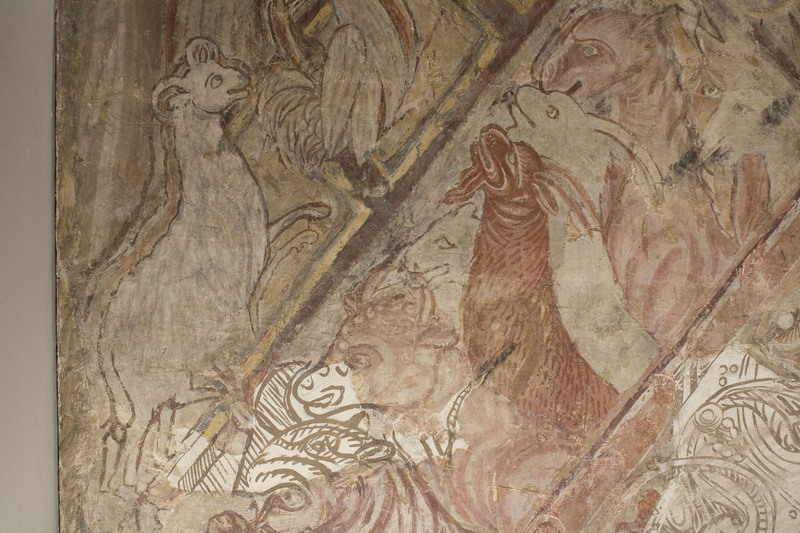 In 1936, during the Spanish Civil War, the Monastery of Sigena was set on fire and the paintings of the walls of the Chapter House were seriously damaged. 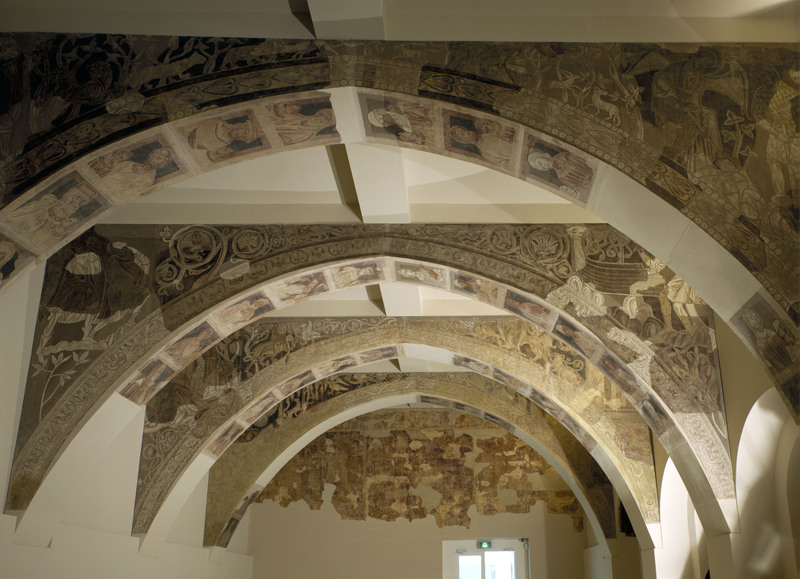 The Mudejar coffered was completely lost. 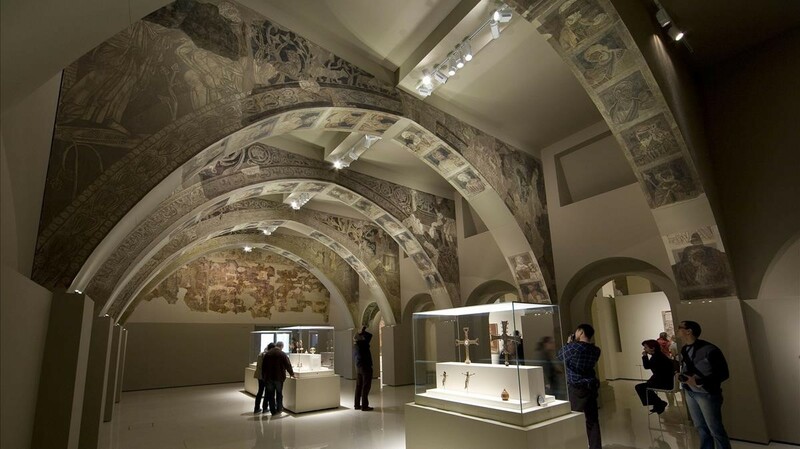 According to the MNAC, “in the same year as the fire, and to safeguard them, the paintings were removed by a team of specialists sent from Barcelona, which also took charge of transferring them and their subsequent restoration. In 1940 they entered the museum”. More information at the Museu Nacional d´Art de Catalunya. The photos of this post has been extracted from this website. Esta entrada fue publicada en Culture around the world el 26 enero, 2018 por ANGELES GUTIERREZ ZARZA. Esta entrada fue publicada en Culture around the world el 17 noviembre, 2017 por ANGELES GUTIERREZ ZARZA. The Spanish General Prosecutor´s Office has recently issued its Annual Report 2017, containing most relevant features of the work carried out by the Spanish Prosecutors in 2016. Full text of the Annual Report is available here. 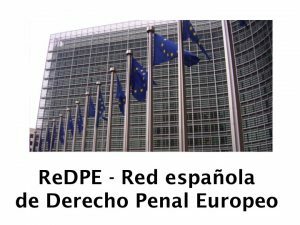 In 2016, a total of 174 Prosecutors are attached to this Specialised Unit, among which 50 are Delegated and 124 Specialists, including 14 Liaison Prosecutors, the Head of Unit (D. Antonio Vercher, Fiscal de Sala del TS) and 3 Prosecutors attached to him. 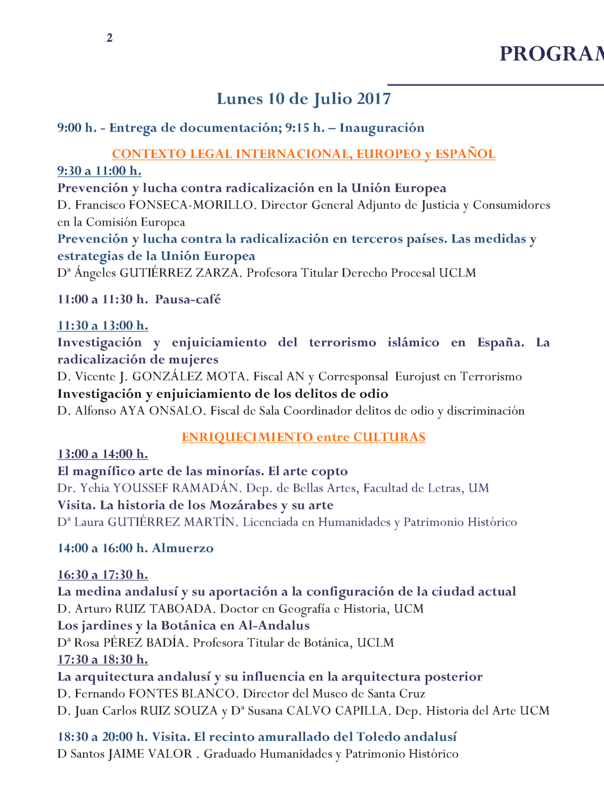 The Prosecutors of this Unit have participated as speakers in a wide range of conferences, workshops and training courses, including inter alia an International Conference on Cultural Heritage at the College of International Studies in China (Southwest University, Chongqing) and the Annual Meeting of this Specialised Unit (Madrid). 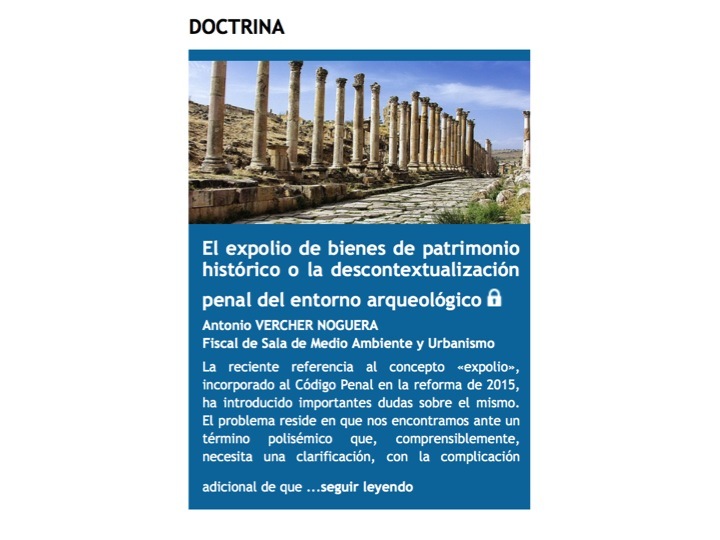 In 2016, this Specialised Unit started a total of 2.499 preliminary investigations (diligencias de investigación), among which 83 were related to Cultural Heritage. In 2015, the Unit initiated 2.232 preliminary investigations among which 52 were related to Cultural Heritage. 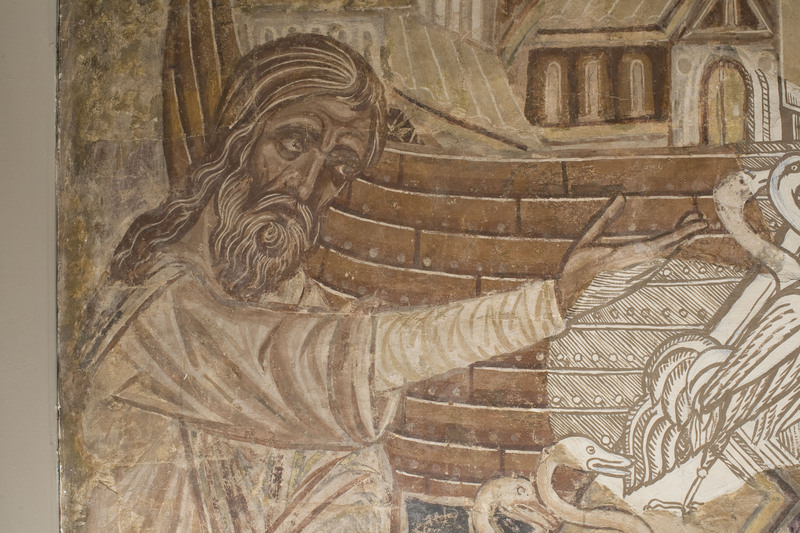 Also in 2016, a number of 4.016 criminal proceedings on environment, urban planning and cultural heritage were ongoing at the Spanish judicial courts, including 220 crimes related to the destruction or illicit trafficking of cultural goods. In 2015, the number of ongoing criminal procedures on the above mentioned matters were 5.332, including 527 cases on Cultural Heritage. 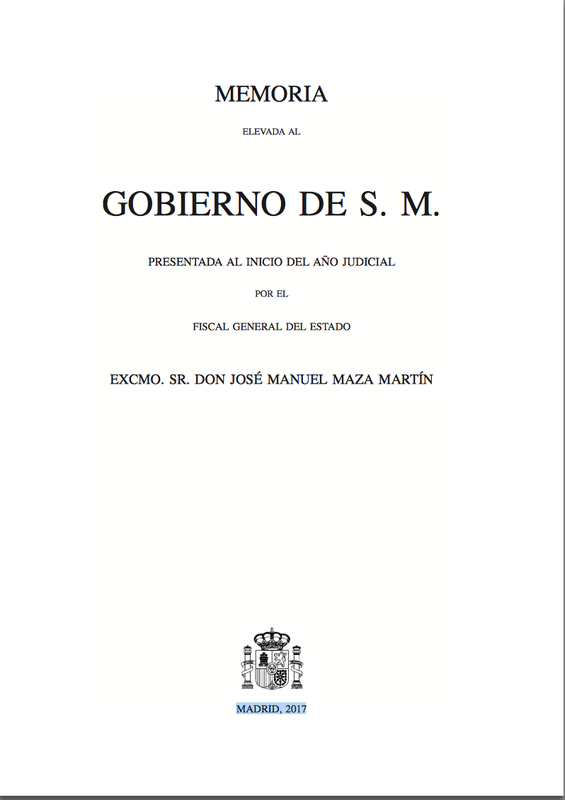 The same year 2016, the Specialised Prosecutors delivered a total of 1.472 formal charges (escritos de acusación), among which 30 were related to Cultural Heritage. In 2015, from a total of 1.125 formal charges delivered by the Specialised Unit, a number of 31 were related to Cultural Heritage. In 2016, a total of 975 judicial convictions on crimes pursued by this Specialised Unit were issued, including 21 convictions on cultural heritage. In 2015,927 judicial convictions on crimes pursued by this Specialised Unit were issued, including 16 convictions on Cultural Heritage. 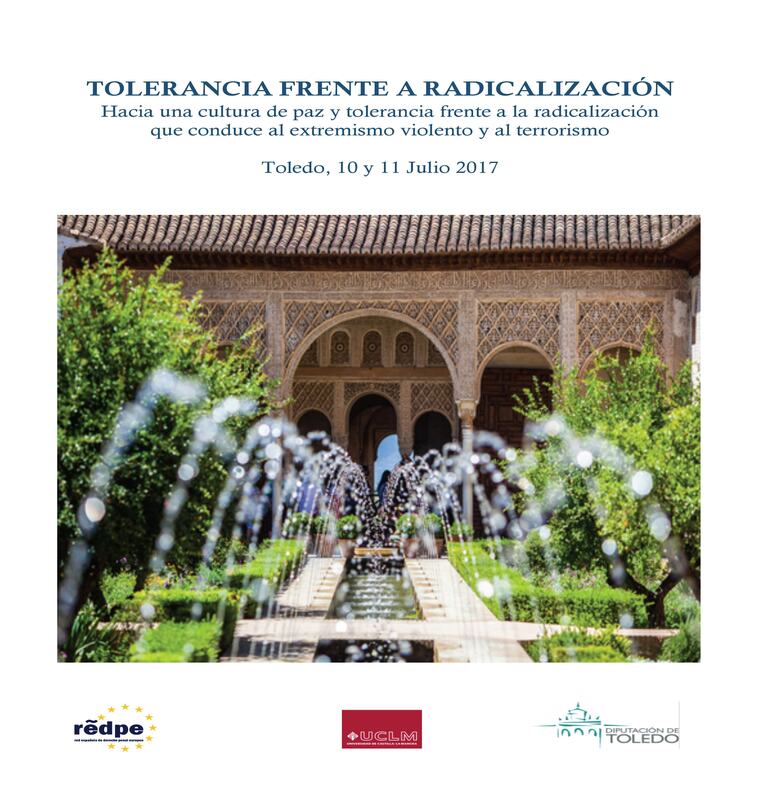 Lastly, in 2016 a total of 251 acquittals (sentencias absolutorias) were issued by the Spanish judicial courts on matters pursued by these Specialised Unit, among which 4 were related to Cultural Heritage. In 2015, from a total of 258 acquittals a number of 11 were related to Cultural Heritage. Esta entrada fue publicada en Culture around the world el 22 septiembre, 2017 por ANGELES GUTIERREZ ZARZA. 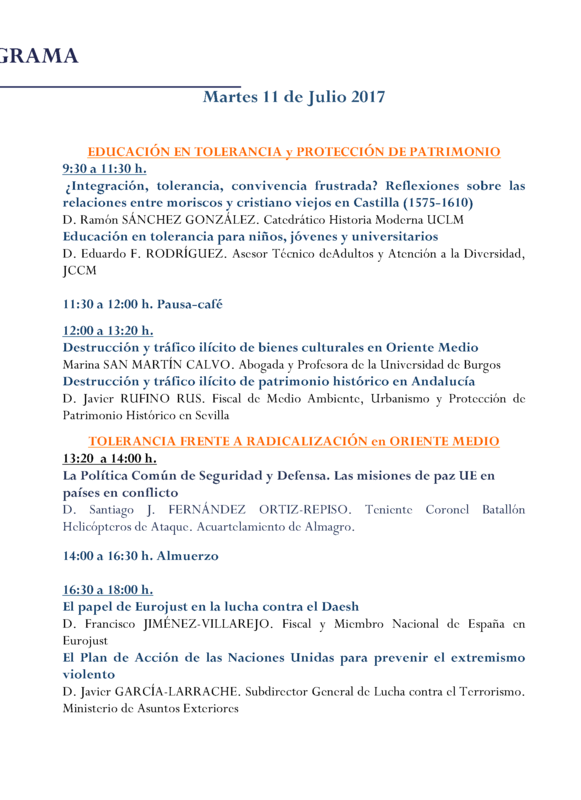 La Universidad de Castilla-La Mancha, y en particular su Facultad de Derecho y Ciencias Sociales de Ciudad Real, está comprometida con la prevención y persecución penal de los delitos relativos a la destrucción y el tráfico ilícito de bienes culturales. 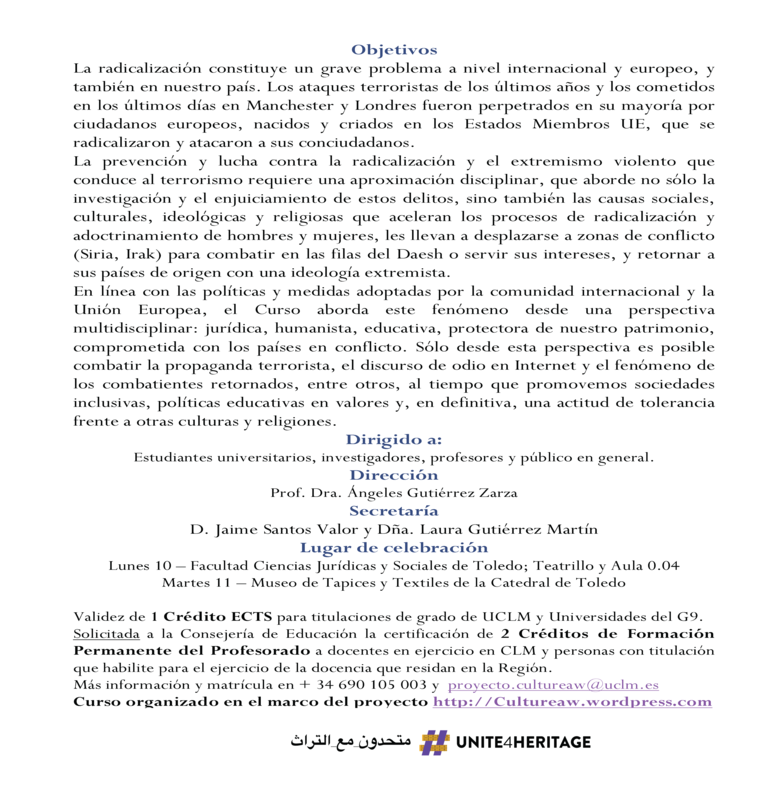 La Doctora Ángeles Gutiérrez Zarza, Profesora Titular de Derecho Procesal de la citada Facultad, coordina el Grupo de Trabajo Internacional sobre Protección de Bienes Culturales (International Working Group on Protecting Heritage, IWG PH). En la página web del IWG PH (http://protectingheritage.com), se facilita información acerca de nuevos casos e iniciativas, legislación aplicable, jurisprudencia relevante y publicaciones de interés para las autoridades judiciales, policiales y administrativas con competencias en la materia. Esta entrada fue publicada en Culture around the world el 9 julio, 2017 por ANGELES GUTIERREZ ZARZA.